The remotely operated vehicle boosts marine science as it is safer and is able to cover a much wider scope than scuba divers. A new kind of remotely operated vehicle (ROV) is being used to capture fascinating footage of life beneath the surface in McMurdo Sound. According to a recent report, a University of Canterbury scientist is using Kiwi technology in her Antarctic research into the Ross Sea region Marine Protected Area. Dr Regina Eisert is a scientist from Gateway Antarctica, which is the Centre for Antarctic Studies and Research at the University. She partnered with a company that changes the way underwater observation is done with its ROVs, in order to study Type-C killer whales. The ROV was able to capture a stunning footage by being underwater for 21 hours this season. Some of the creatures recorded include Adélie penguins, whales, Weddell seals, bright red octopus and a glowing ctenophore. According to her, a marine mammal expert, the technology is a game-changer for marine science as it is safer and is able to cover a much wider scope than scuba divers. Before this, the view they have of marine animals are those they have from the surface. Penguins, for instance, are observed waddling along. Seals would be found sleeping on the ice while whales are seen only when they surface. But these animals live in the water and that is the important stuff to see. 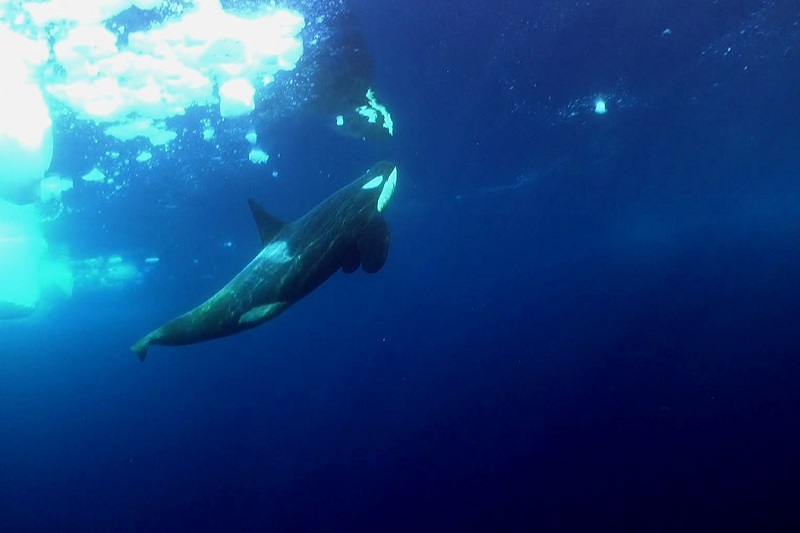 With the ROV, they were able to confirm the overlap between penguins and Type-C killer whales by recording unconcerned penguins freely entering and exiting the water in the presence of these whales, which were ignoring them. The remotely operated vehicle carried out a total of 15 dives, gathering 21 hours of footage and reaching a depth of 210 metres this season. The company’s Co-Founder travelled all the way to Antarctica to drive the device and see how it would perform in the extreme cold. The season went exceptionally well. There is definitely a scope for the company to take it further in the years to come. On top of killer whale surveying, the company was able to do some environmental monitoring around the sea floor near Scott Base and could go to many more sites. Antarctica New Zealand Chief Science Advisor Dr Fiona Shanhun said that the footage showcases the underwater Antarctic world which is rarely seen. The possibility of using this technology to support future research projects is exciting. The Agency is supporting this research. The Ross Sea region is one of the most pristine marine environments in the world and now hosts the largest Marine Protected Area. In December 2017, the Ross Sea Marine Protected Area was formed, covering 1.55 million square kilometres, of which 1.12 million is a no fishing zone. At different times of the year, the region is home to more than 30% of the world’s Adélie penguins, around quarter of all emperor penguins, around half the Ross Sea killer whales and rare and vulnerable benthic species like sponges that can live for 500 years. It is also a breeding ground and habitat for Antarctic toothfish. The Ross Sea MPA requires active research and monitoring to ensure it provides effective protection for its unique ecosystem.